Congratulations on finding Gloucestershire's leading and only I.M.I. certified Paintless Dent Removal specialists. We repair minor dents, dings and creases to vehicles, without the expense and inconvenience of a traditional bodyshop repair, just as if your dent never happened. We repair minor dents, dings and creases whilst keeping the factory paint, finish and warranty. Most common damage from careless door opening, minor collisions, items falling against the car or storm/hailstone damage, etc etc. Dents are carefully crafted out NOT covered up with filler and new paint. Return your cars bodywork back to its original condition, retain its value and factory finish. Useful for lease or finance return vehicles too! 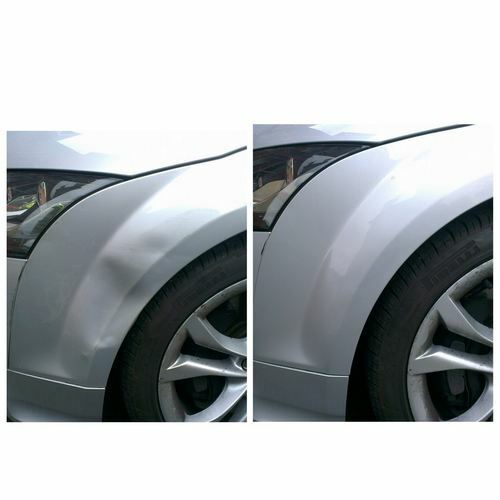 Flexible and convenient - smaller dents carried out at a time and location ideal for you. Workshop for larger, highest quality jobs or if the British weather is at it's worse! Our mobile service covers Cheltenham, Gloucester, Tewkesbury, Stroud and Cirencester as well as most of Gloucestershire (subject to T&C and weather). Keep the original paint - factory paint is as good as it gets, if you can retain this its better for the car and better for the environment! Also no colour matching issues, finish issues or cracking / shrinking filler. Maintain manufacturer's warranty - manufactures only warranty factory paint. 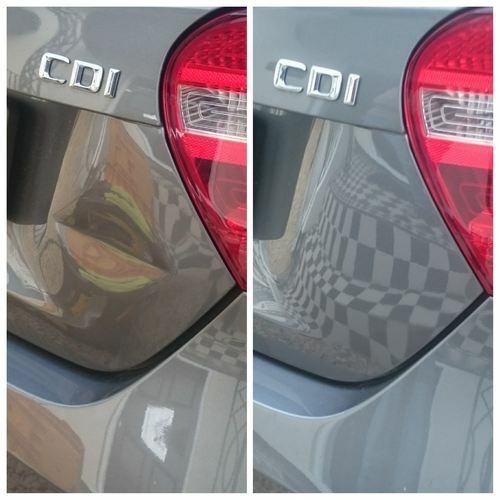 Cost effective - PDR is generally cheaper than a good body shop repair by some way which makes it great value for money. Be wary of ‘cheap’ bodyshop jobs they will normally show! My name is Mark Clapham, owner and technician of Panel Perfect. I have been repairing dents, dings and creases since 2004 so you could say I'm a bit of a dent nerd! I'm a car nut, I always have been, so I like to treat each vehicle regardless of its marque as if it were my own, so you can be sure it's in good hands, I can discuss exactly what is involved with your specific repair and vehicle so that you know what is happening at each step. Back in 2004 I was working for Dent Wizard/Dent Master (the world’s largest Dent Removal Company), their training was a great start, but ever since then I have kept up to date with the latest cutting edge techniques and tooling meaning that I can often repair larger and more complex damage to a higher standard than our competition, check out our Youtube channel for the videos and here for our Google reviews , Facebook reviews and Yell.com reviews, all 5*! I set up Panel Perfect in 2007 and I am proud to work with many local vehicle dealerships including Aston Martin, Bentley, Range Rover/Land Rover, Mercedes Benz, Volkswagen, Lexus and Toyota to name but a few, so you can be assured that your car will be repaired by the best. 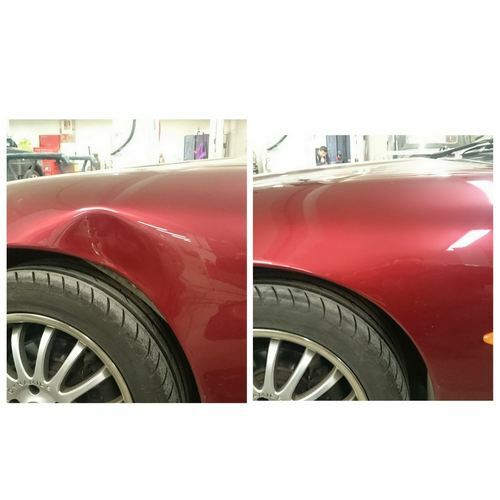 We also do lots of work for local body shops as they know it is the best way to repair a minor dent. Although they will offer a paintless dent repair as a service they call me as its such a specialist skill! So cut out the middleman and get in touch. Check out and subscribe to our Youtube channel! "The service you gave was friendly and helpful and I was delighted with the way you rescued my pride and joy from a nasty bit of car park abuse!" Tell us about the damage to your vehicle, upload a few photos and we'll get back to you with your estimate.